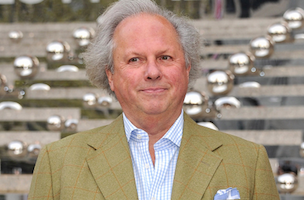 Vanity Fair editor Graydon Carter is feeling the Broadway itch again. According to WWD, Carter is considering either writing a play himself, or working with VF writers to develop a play. Carter has always had the performing arts bug. He produced the documentary The Kid Stays in the Picture in 2002, co-produced I’ll Eat You Last—starring Bette Midler—in 2013 and produced the recent Nora Ephron documentary Everything is Copy. Despite the rumors, it might be some time before Carter returns. Sources told WWD his interest is in the “very early stages.” We assume no pun was intended.